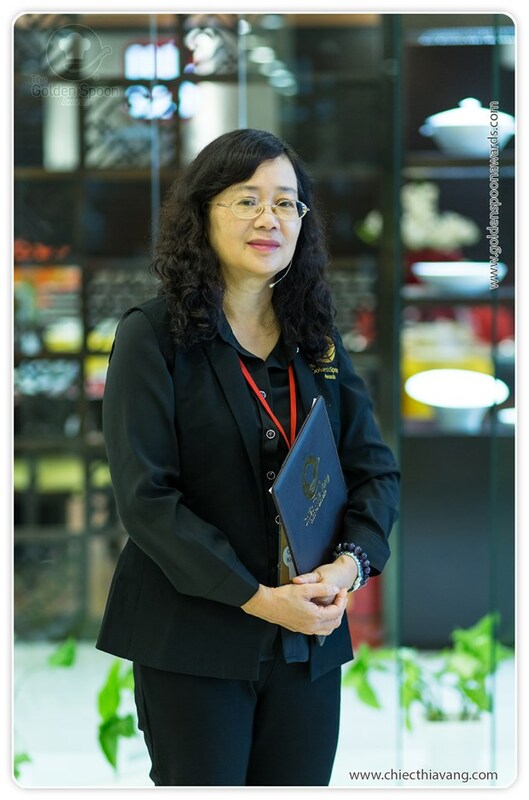 While working in Tourism between 1981 and 2013, Ms Le Mai Khanh participated in the organization and judging of professional contests in the hotel industry, some of which were food festivals and competitions. Most of participants were chefs coming from hotels and restaurants from all over the country. In previous years, she has participated in the organization of food contests conducted by Tourism Department. As Vice President of the Hotel Association of Vietnam, Ms Le Mai Khanh currently continues to coordinate with the agencies and others in the organization of competitions, training and retraining courses in order to contribute to the improvement of quality of human resources in the hotel industry in general and in cuisine industry in particular. She is one of guest judges of the Golden Spoon contest 2014, 2015.